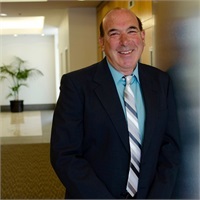 Thomas Hanna (Tom) began his accounting career in 1986, after earning a Bachelor of Science degree from the University of California Northridge. Four years later, he became a Certified Public Accountant. Then, during 1991, Tom joined forces with Bob Carey, and the legendary accounting practice of Carey & Hanna CPAs was born. In addition to his CPA, Tom is a licensed California Life and Health insurance agent, a registered representative*, a licensed mortgage broker, and a real estate agent. His experience in such fields allows him to specialize in Homeowner Association financial services, business consulting, office automation, and IRS representation. Specific industries served include manufacturing, medical, construction, retail, and not-for-profit organizations. In addition to spending time with his family, Tom enjoys scuba diving at the local Channel Islands National Park. He also enjoys the delicious local fish and lobster caught while diving! Tom’s other hobbies include golf, racquetball, snow-skiing, and cycling.